From New York to Paris, strut your stuff and take the fashion world by storm. Anna is determined to show her point of view while learning the tricks of the trade. 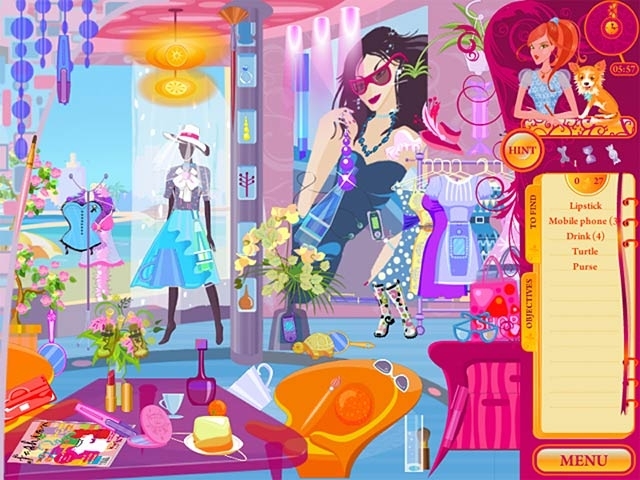 Trail Anna's aunt, a boutique owner, as a Fashion Apprentice in this Hidden Object hunt. Design outfits and build Anna's line by purchasing power-ups with Glam Points. With determination and talent, will Anna make it to Hollywood and become an in-demand designer to the stars?